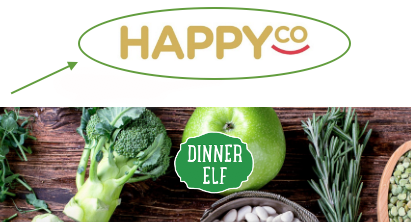 Add your business branding when giving Dinner Elf. 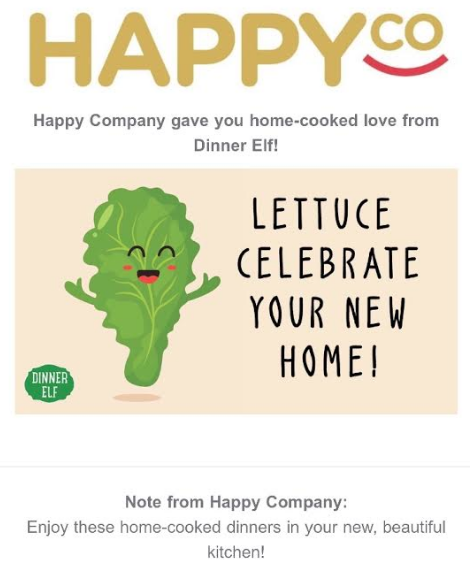 Whether you’re trying to gain a client, close a deal, or help someone in a season of need, Dinner Elf is the perfect gift. Add your name, logo, and message to your gift email. Learn more about gifts for closing on a new home, welcoming a new baby, or healing from surgery or illness. Add your logo and message to a recipient's meal page. See a branded example. Get exposure to a recipient's extended care network when they give dinner. They'll see your logo and a description of your organization. Are you a non-profit? 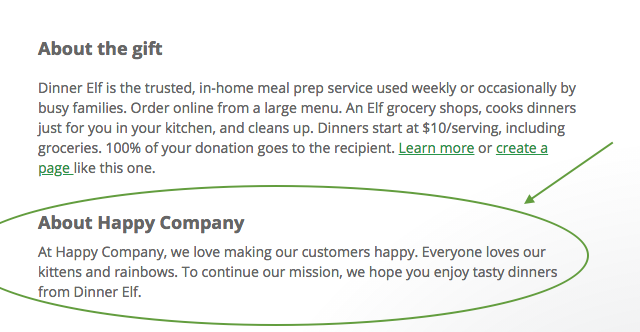 Promote meal pages to your members and Dinner Elf gives $50 donations to your organization when pages raise $200.